Teeny Cartridge | Look how tiny the Vita's Memory Stick is. 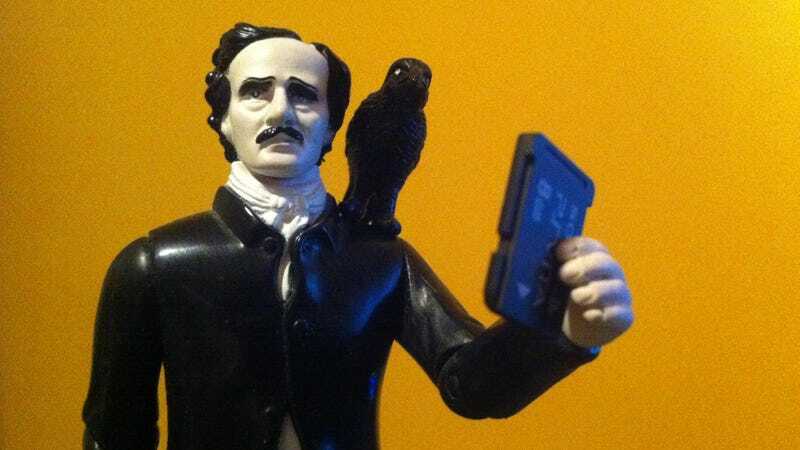 Soooooo tiny that Action Figure Edgar Allan Poe wants to use it to write creepy poetry on. Is Portal 2 Kotaku&apos;s Game of the Year? Is Portal 2 Kotaku's Game of the Year?